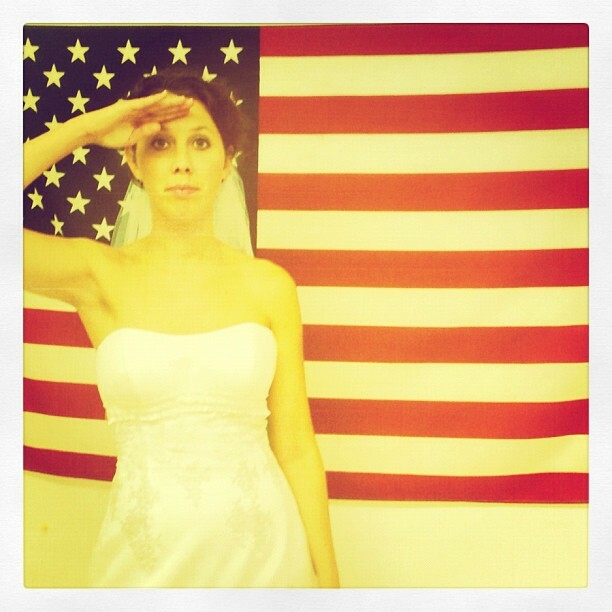 On my wedding day, in the bridal suite, there was an American flag. I’m giving one final salute. I’m married to Frans, and as an international couple we’re creating a home of our own in the Netherlands. We have a little Dutch-American named Estella. I like to spend my time at secondhand stores, remaking furniture, cooking, writing, reading, discovering Amsterdam by bike, and good conversation over coffee or a meal. Hey Erin. Glad you’re writing this. I’m looking forward to reading it and hearing about how Amsterdam is. My dream job is at an ad agency in Amsterdam called KesselsKramer. So if you ever meet someone who works there, tell them to hire me. I can be there in 24 hours. Haha. Chris Martin. Only if I can tell people I’m friends with the guy from Coldplay. My sister alycia wanted me to follow your blog. She said you are a great writer and u sound like my kindred spirit. Maybe the next time I come to the Netherlands I can meet u! Excited to read ur words! Yep, Stacie. I think I can guess who your sister is! Thanks for reading along and I’m up for a coffee when you visit her. Wow, congratulations! Yep, I’ll look you up on facebook so we can have more of a “convo.” My first advice is: don’t get so involoved with thinking and planning (reaalllly hard not to do), that you neglect spending some quality time with the people nearest and dearest to you. The details will follow! Erin, Erin, Erin! I saw something on FB from Kristian and followed the link and here you are! Or there you are, I mean! So excited to know a little about your new life! I’ll look forward to getting to connect a little this way! Heidi Fred! Thanks for reading!